For those who do not want the stress and expense of a large wedding, but still wish to have an elegant celebration, we welcome elopements at our beautiful Virginia estate. Package Price: $1,495, based on wedding couple. Two-night minimum stay required for wedding couple, package price does not include lodging, alcohol, taxes or gratuities. Up to 8 guests may attend; however, additional dinner and reception charges at $175 per person will apply. Perfect for the couple looking to celebrate their love together with their closest family and friends in a beautiful wine country estate setting. Package Price: Starting at $5,995, based on 20 wedding guests. Package price does not include lodging, alcohol, taxes or gratuities. 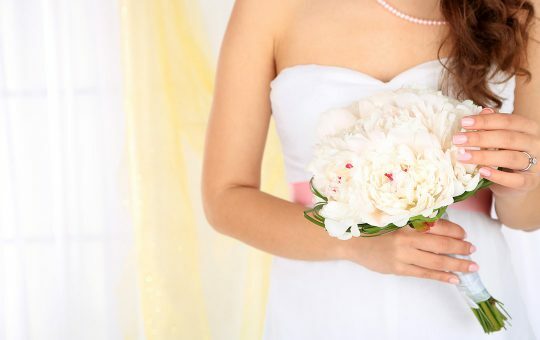 Wedding Party must rent entire inn for a two-night minimum stay. Not available on Holiday weekends. Glen Gordon Manor is the ideal place for a stylish wedding celebration in the Virginia countryside. We can comfortably host 50 guests in the warm, fireside ambiance of our Hunt Room or up to 100 guests for an outdoor tented reception. Following a private wedding ceremony on our beautiful grounds, enjoy a plated dinner reception carefully designed by award-winning Chef/Owner Dayn Smith. Our property offers a number of scenic outdoor options for your ceremony, in addition to several local churches. The Manor with its luxurious guest rooms and 2, two-bedroom suites can accommodate up to 20 guests on-site. The wedding party must rent the entire inn for a two-night minimum stay. Contact us today for more information, menu options, and to set your date! We are happy to customize the occasion to your specifications.